What is TravList Itinerary Management? 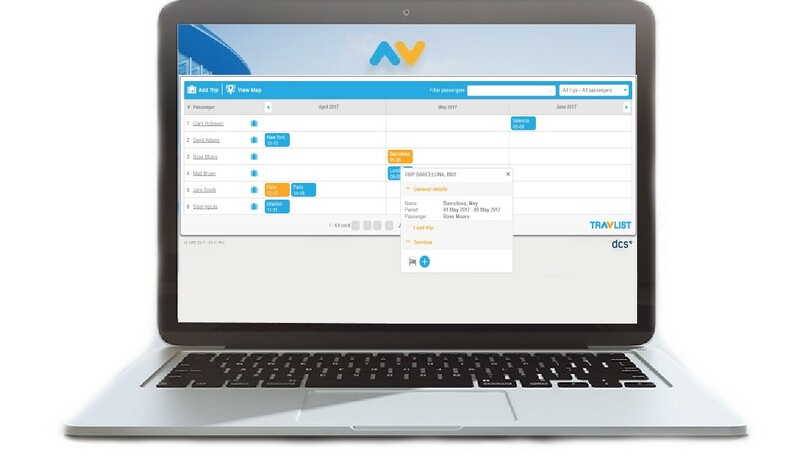 Traveling employees, reservations, confirmations, addresses, delays… Yes, traveling can be complicated and stressful, but with TravList Itinerary Management you can make everything go smooth for your traveling employees. TIM - TravList Itinerary Management is a self provisioning platform where you can manage your traveling employees and offer them access to TravList, the smart travel assistant. Nowadays, travel mobile apps have become essential tools for traveling, and why not to offer the best traveling conditions. Now things are getting easier with TravList Itinerary Management! The trips that you add in the platform are automatically sent to Travlist mobile app, offering your travelers a 360° travel experience! Our platform will help you manage all the traveling details from your organization. Sign up for free, add your traveling employees in our platform, create their trips with the services you bought for them. We handle the rest - our platform will push automatically this new trip to your colleagues by email. He will receive an email with all the information about the trip and details for downloading TravList, the smart mobile travel assistant. This means that you can provide immediate value to the travel experience. Why use TravList Itinerary Management? There are are no costs for your company, no setup fees and no subscription fees. You can send up to 50 pushes every month to your employees and offer them access to all their travel details right on their smartphones. If your employee has already installed TravList app, the trips that you add will be instantly updated in the app. TravList will serve your travelers as a mobile travel assistant – catering for all their journey needs in one place. With TravList , your travelers will have access to their travel details and will be able to manage trips. TravList offers a complete, hassle free way to enjoy traveling - real time notifications, online check-in, attractions at the destination, weather at destinations - more precisely, TravList becomes a central hub for managing travel. All you have to do is sign up for TravList Itinerary Management and start adding your passengers, create their trips in the platform. Your customers will receive automatically notifications with their traveling details by email and get their travel details directly to TravList mobile app. Follow your travelers in real-time! Have a look at the real-time map with an overview of your traveling employees. You can see who is traveling, where and when is traveling at any given moment. Join TravList Itinerary Management and offer your employees the right mobile app!